We are a boutique PR firm dedicated to sharing the unique stories of our clients by giving their talent and vision a voice in the world of media. 23 April 2019 – Nashville, Tenn. – Fair Trade Services announces the new single from Sanctus Real, titled "Unstoppable God," which is out now and available at all digital music providers. 18 April 2019 - Nashville, Tenn - Integrity Music announces the release of Local Sound's EP, The Free World, Vol. 1, available today. 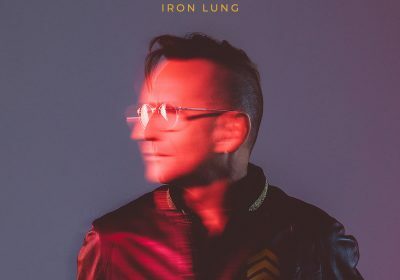 12 April 2019 - NASHVILLE, Tenn. (U.S.) | BRIGHTON (U.K.) - Integrity Music has officially announced May 10th as the release date for Martin Smith's upcoming album, Iron Lung. 29 March 2019 - Black River Christian artist Josh Wilson has just released the new music video, "Borrow (One Day At A Time)" - The Solo Experience. Stacie Vining and Lori Isaacs Mahon became fast friends while working together as publicists in the early 2000’s. Several years later, each gal ventured out to blaze new trails and establish her own boutique PR firm (Vining Media Relations and Overture Media). Fast-forward to 2011 and you have a match-made in publicity heaven: Lori and Stacie joining force to increase growth and multiply impact in the world of Christian music and non-profits. They have not looked back and are both thrilled and grateful for the expansion of clients and team members in recent years. 23 April 2019 – Nashville, Tenn. – Fair Trade Services announces the new single from Sanctus Real, titled "Unstoppable God," which is out now and available at all digital music providers. 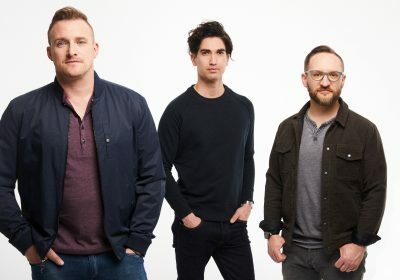 23 April 2019 – Nashville, Tenn. – Fair Trade Services announces the new single from Sanctus Real, titled "Unstoppable God," which is out now and available at all digital music providers. "Unstoppable God" is the follow-up to the band's smash top 5 hit “Confidence,” which has accumulated more than 16 million streams at press time. 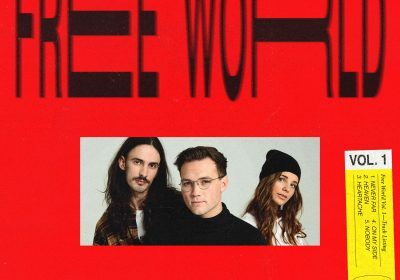 18 April 2019 - Nashville, Tenn - Integrity Music announces the release of Local Sound's EP, The Free World, Vol. 1, available today. 18 April 2019 - Nashville, Tenn - Integrity Music announces the release of Local Sound's EP, The Free World, Vol. 1, available today. Encompassing five songs, the first song to debut, "Nobody," released last September. The Free World, Vol. 1 is the follow-up to their independent EP from 2017. 12 April 2019 - NASHVILLE, Tenn. (U.S.) | BRIGHTON (U.K.) - Integrity Music has officially announced May 10th as the release date for Martin Smith's upcoming album, Iron Lung. 12 April 2019 - NASHVILLE, Tenn. (U.S.) | BRIGHTON (U.K.) - Integrity Music has officially announced May 10th as the release date for Martin Smith's upcoming album, Iron Lung. As the follow-up to last year's live recording, Love Song For A City, and his last studio recording, 2014's Back To The Start, the acclaimed worship artist, songwriter, and producer is ready to debut his highly anticipated and most personal album ever recorded. "This record is about joy and wonder, and the grace to keep singing through the journey of life," Smith recently shared about the making of Iron Lung. "It’s telling the story around my first breath as a child to the last breath of someone close to me. Iron Lung is a celebration of life, love, and faith." 29 March 2019 - Black River Christian artist Josh Wilson has just released the new music video, "Borrow (One Day At A Time)" - The Solo Experience. 29 March 2019 - Black River Christian artist Josh Wilson has just released the new music video, "Borrow (One Day At A Time)" - The Solo Experience. The unique video was shot in Nashville at Sound Stage Studios, filming around him in 360° and showcasing Wilson's musical talents on more than five different instruments. When Wilson was just in elementary school, he learned to play piano, guitar, and drums. Through the years, he's developed more talents for multiple other instruments, with the guitar as his mainstay performing and songwriting instrument. "I’ve always wanted to incorporate multiple instruments into my live set," Wilson shares. "Over the years, I’ve tinkered with playing various instruments on my records, and I wanted to find a way to bring them all to the stage. This particular looping setup has taken me over five years to get up and running, and it’s had a lot of different iterations. I’m really excited about where it’s landed."